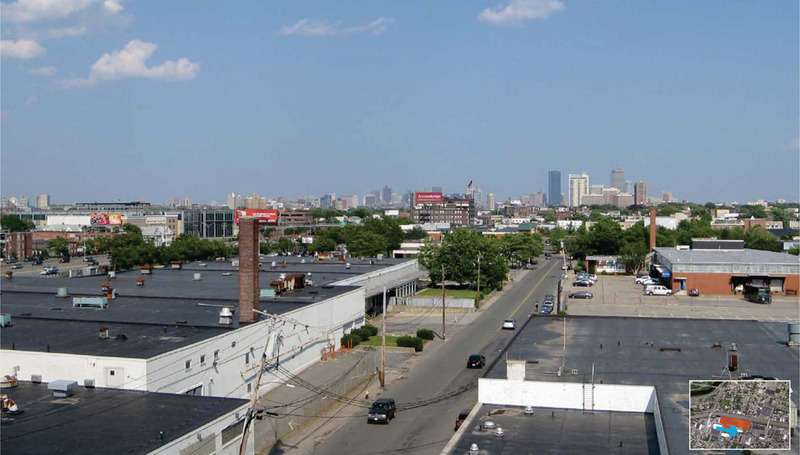 New Balance has recently begun construction on a new 14-acre mixed use development project called Boston Landing. 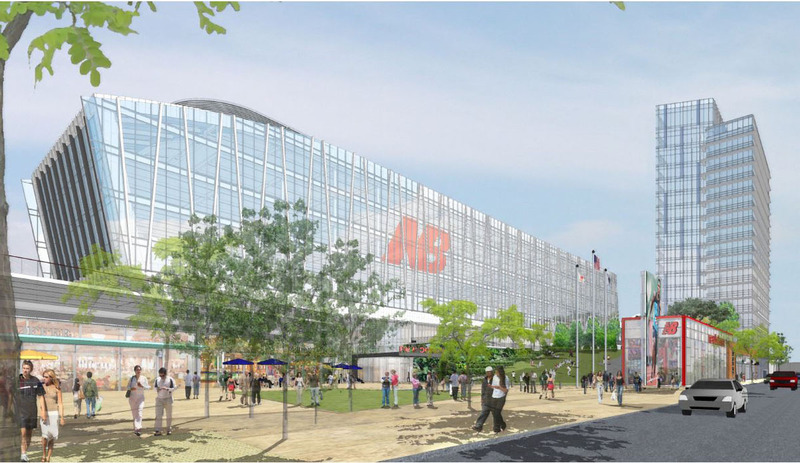 The project is located adjacent to the site of New Balance’s current headquarters on Guest Street along the Massachusetts Turnpike in Brighton. 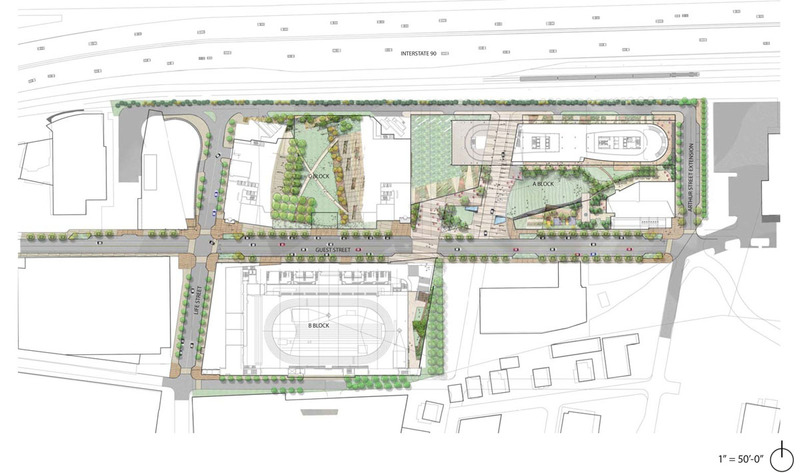 The new development will connect an isolated area with the surrounding Brighton residential neighborhood by activating the Guest Street corridor with a new headquarters, office space, sports complex, parking, open space, street level retail and restaurants. Plans are also underway to build a new commuter rail station on the Framingham-Worcester line that will connect to the site and run parallel to the Massachusetts Turnpike. Acting as a consultant to the project architect, Elkus Manfredi, CRJA is providing full landscape architectural design and construction administration services for the project. 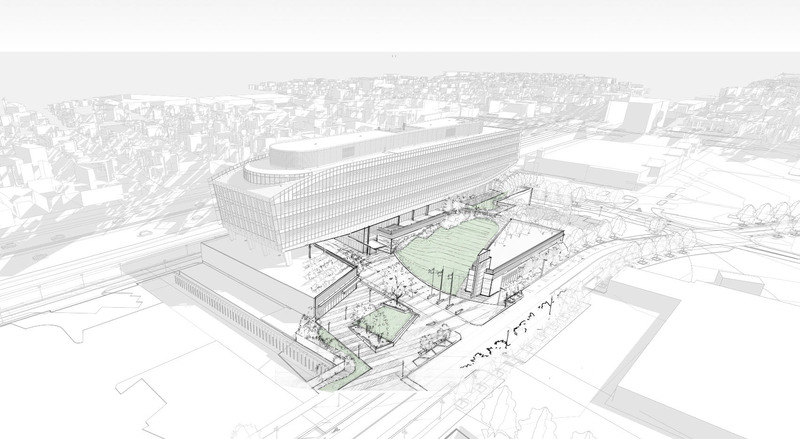 CRJA’s involvement thus far has been in the design of the site of New Balance’s new headquarters and the streetscape improvements along Guest Street. The current New Balance headquarters building is isolated from residential Brighton by the Massachusetts Turnpike and existing industrial warehouses. 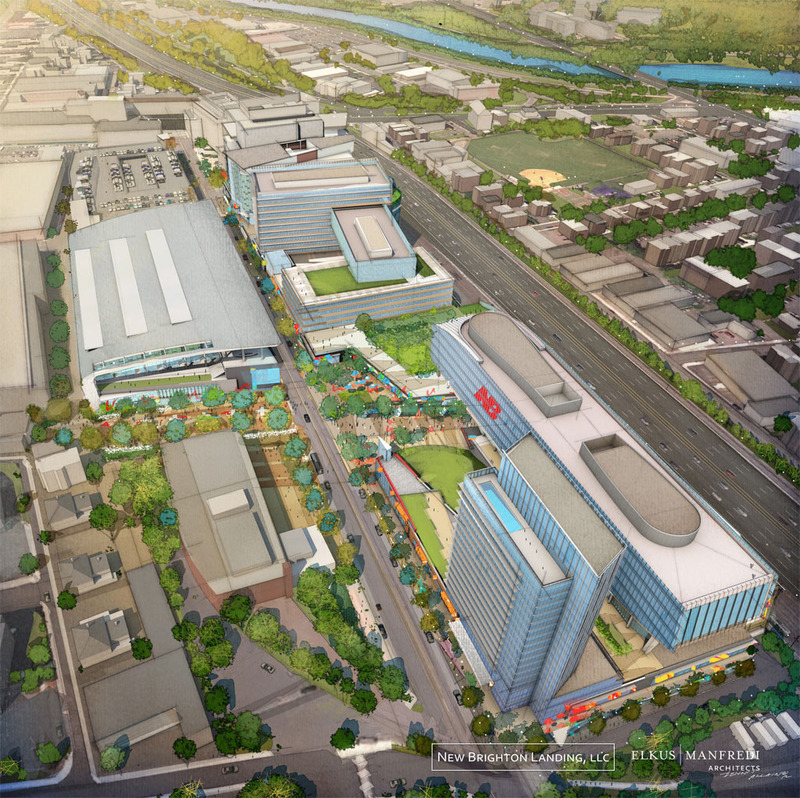 CRJA’s goal was to activate the area by developing Guest Street as a central spine, connecting a series of mixed-use developments on site including New Balance’s new headquarters, which will comprise the first in a series of phases. In keeping with New Balance’s brand philosophy, CRJA envisioned the site as a health and wellness campus which would provide a balance between work and play through innovative design. Inspired by multiple expressions of the concept of “movement”, a thematic design motif is created. Specifically, within the paving patterns of the hardscape, the concept of the”runner’s lean” and its angle is depicted. 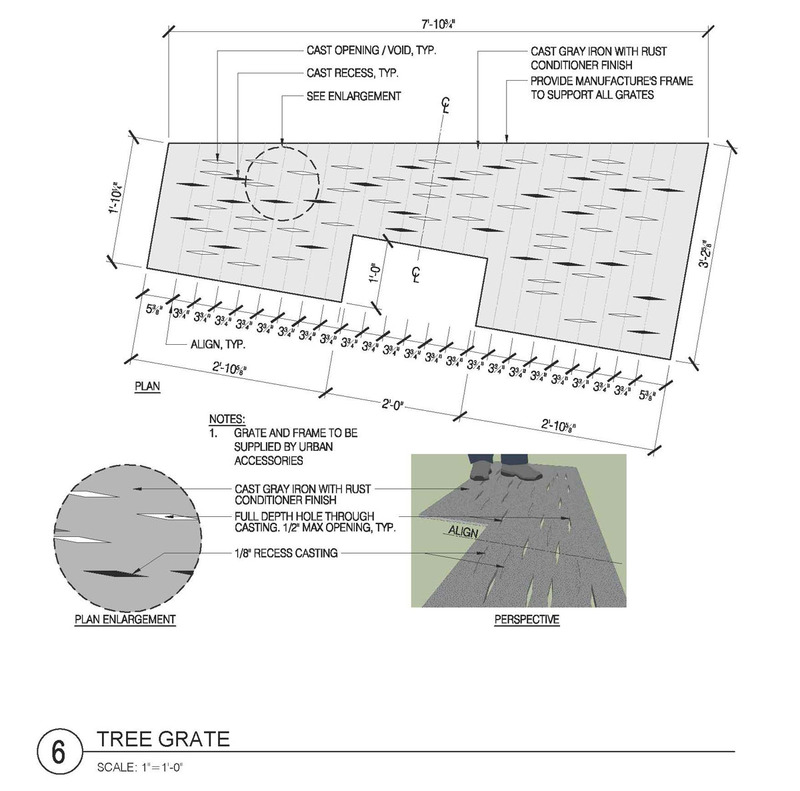 This detail can be found in custom tree grate designs and concrete score joints. The lean/angle concept is also coupled with the idea of “balance” and can be found within the detailing of custom seating elements within the plaza as well as the thoughtfully selected streetscape furnishings. The streetscape acts as common linkage between the components of the site and seeks to rejuvenate the public realm experience by increasing space, adding vegetation, and reflecting the design philosophy of movement in the pavement pattern/material. The streetscape will feature nine different rain gardens, adding an element of sustainability to the project. 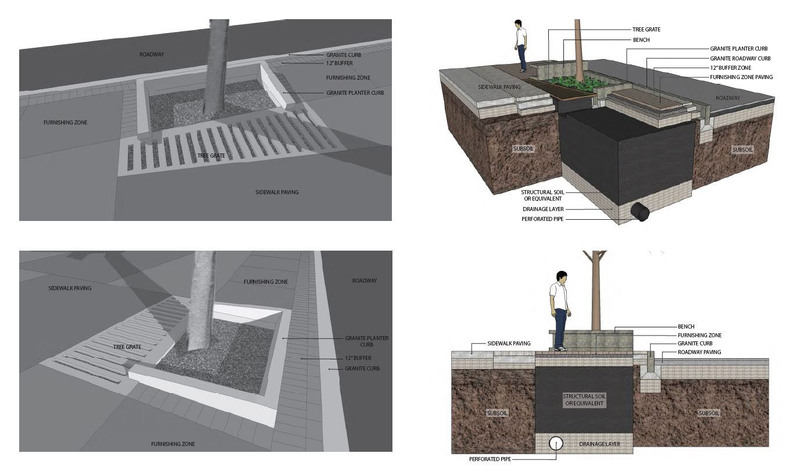 The rain gardens will collect storm water runoff from both the street and sidewalk, cleansing the water before it circulates into the ground and preventing excess storm water runoff, especially during storm events, from circulating into the sewer system. 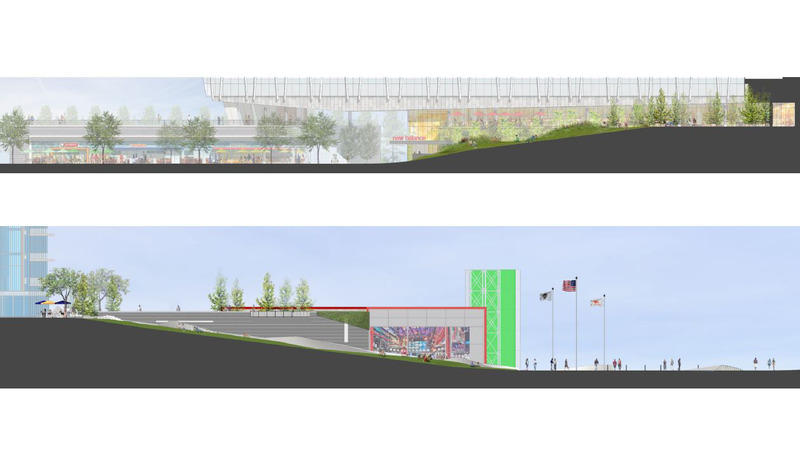 Upon entering the New Balance facilities, the visitor will achieve a unique sense of place through custom design with materials, details, and rain garden vegetation distinguishing the area from a typical streetscape. The streetscape serves to connect pedestrians, bicyclists and drivers by acting as an eco-friendly gateway to the site. 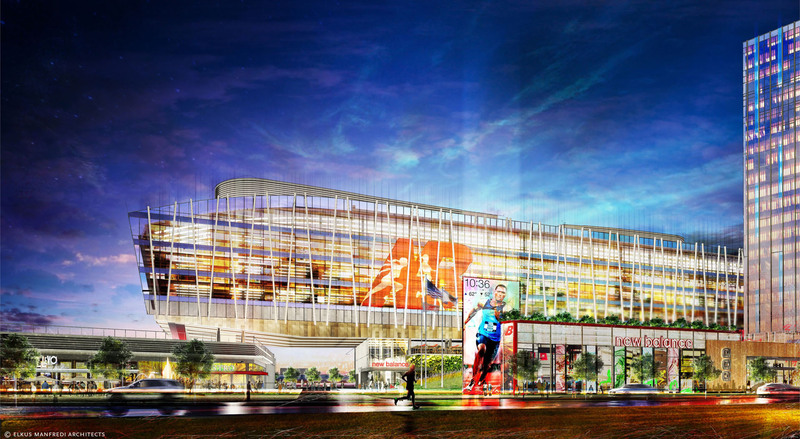 New Balance’s new headquarters exudes energy and creativity with an iconic glass and steel building. The new headquarters features primarily office space with retail and dining occurring at the plaza and street level. CRJA’s design reinforces an energetic setting with both passive and active open space. A geometric plaza plays off the iconic New Balance logo while providing for pedestrian and vehicular passage through the site and seating space for visitors. The landscape focal point is a great lawn sloping from an elevated planted podium for employee use down to a public plaza. The lawn features interactive mounded landforms and plantings. The mounded lawn contrasts the sharp angular geometry of the plaza juxtaposing movement in nature with manmade movement. The headquarters also features habitable green roofs and an upper podium above the plaza for employee use. Strong use of granite stone and native plantings create a sense of place reminiscent of the local New England landscape. New Balance spent the better part of last year demolishing existing buildings to make way for new construction. Currently the new headquarters is expected to be completed by 2015 while additional phases are expected to be completed by 2017.